Is the smartwatch a flop or a success? Yes, the Apple Watch isn’t the iPod or the iPhone, but smartwatch shipments surpassed Swiss watch shipments globally for the first time in 2015, according to a report by Strategy Analytics. Global smartwatch shipments reached 8.1 million units in the last quarter of 2015, compared with 7.9 million Swiss watch shipments. Shipments are “rising a healthy 316 percent from 1.9 million in Q4 2014,” said Cliff Raskind, director at Strategy Analytics in the research report. Smartwatches grew rapidly in North America, Western Europe, and Asia. 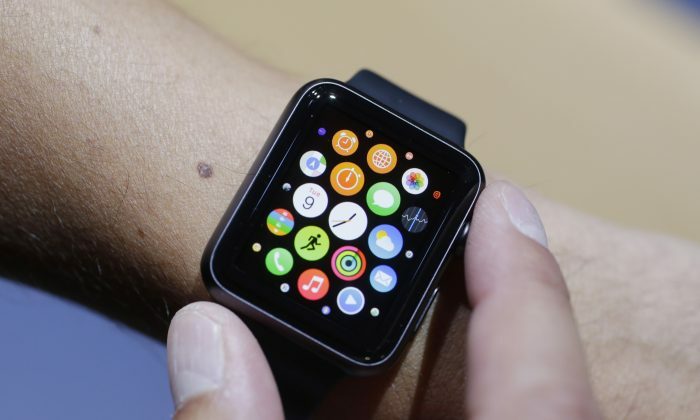 The Apple Watch captured a 63 percent share of the global smartwatch market, followed by Samsung with 16 percent. On the other hand, Swiss watch shipments fell 5 percent year-on-year. “Global demand for Swiss watches is slowing down, and major players like Swatch are struggling to find growth,” the report states. The Swiss watch brands have been hesitant to enter the smartwatch segment. Brands like Tag Heuer accounted for only 1 percent of all smartwatches shipped globally. An unfavorable environment continues to hold back 2016 results in the Swiss watch sector, according to the Federation of Swiss Watch Industry. Swiss watch shipments fell 7.9 percent compared to a year ago in January 2016. The volume fell by 300,000 units. All main price segments recorded significant declines, according to the Federation. Watches costing more than 500 francs ($502, export price) set the trend in value terms. The shipments of less expensive timepieces declined sharply. The two biggest markets, Hong Kong and the United States, drove the overall decline in Swiss watch exports, while shipments to Japan, Germany, and Britain rose. According to watch experts, it is hard to draw a conclusion that smartwatches are a real threat for the Swiss watch industry. In particular, luxury brands that do make expensive mechanical watches still appeal to a sizable group of people and hence are not competing with smartwatches. Pierre Dubois, CEO of Pierre DeRoche, a luxury watch brand from Switzerland, said it is important to look at worldwide political and economic events to better understand the slowdown in Swiss watch exports. Political and economic situations in China, Russia, and the Middle East, crude oil prices, the strong Swiss franc, and terrorism are all key events that impact the sales of Swiss watches. “Smartwatches have had a big impact on the market and directly affected many brands selling below $1,000. They have also had an indirect effect on higher-end watches since each consumer has a budget and it is rare that they would buy multiple watches in the same year,” said Merlin Schwertner, vice president of NOMOS Glashütte USA Inc., a luxury watchmaker. However, smartwatches cannot replace mechanical watches, according to Schwertner. “A smartwatch is considered an attractive addition to consumer’s collection but it is not enough on its own. It even encourages consumers to buy mechanical watches,” he said.